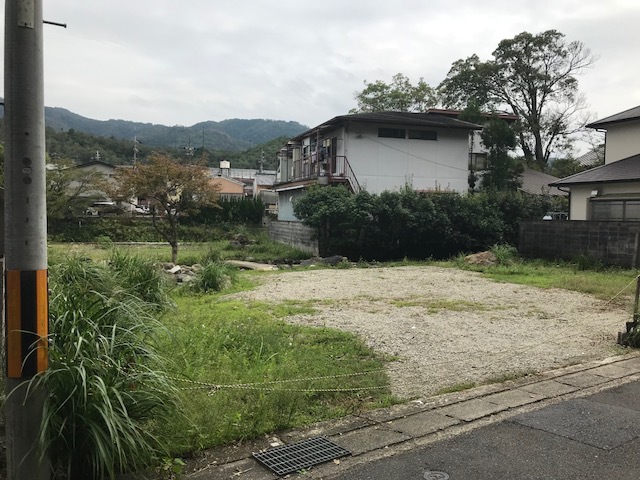 The abundant natural beauty of this premier, unique lot located between the exclusive Shugakuin and Iwakura areas in northwest Kyoto, is ideal for an owner-built customized family home or villa. 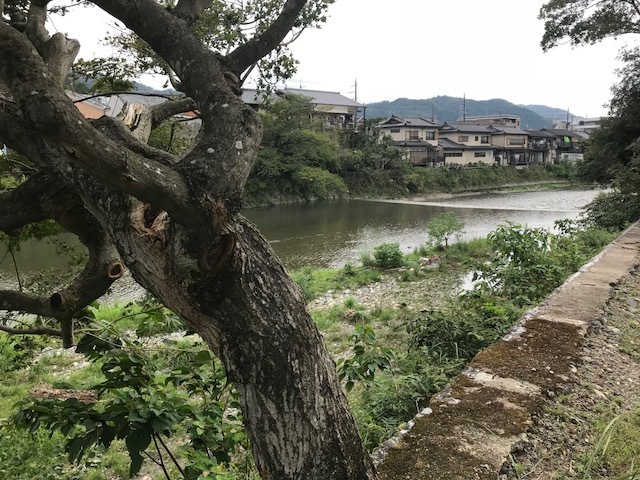 Fronting the Takano River, it has an unparalleled view of Mt. Hiei and the renowned Enryakuji temple complex. 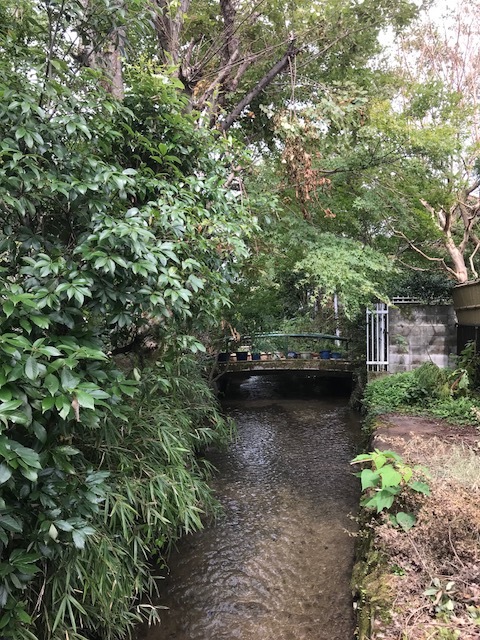 The clear stream traversing the property is reminiscent of Heian-era aristocratic gardens. An open, sunny space surrounded by Kyoto’s famed natural beauty! 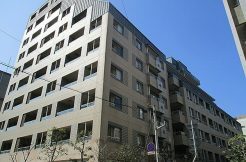 Conveniently located only 4 minutes walk from Iwakura subway station with direct access to Kyoto station. Within walking distance of Kyoto International Convention Center, historic parks and palaces as well as major shopping areas. As well as historical interests the area is also attracts families. There is a huge children play ground, the river side path with smaller parks for picnic and exercise. Public elementary and junior high school are also easy access. The current owner obtained permission from authority to build two separate houses and a garage with rental house on the second floor on the land. Total floor area of 313 sq m floor area and the floor plan is available. The land consists two parts. 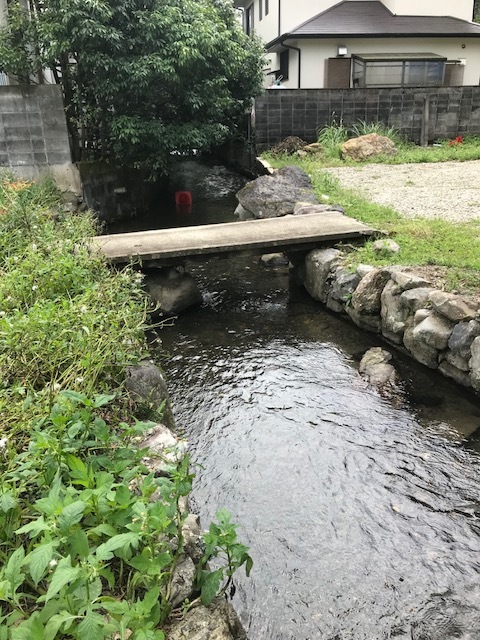 One fronting Takano River size 160.49 sq m and the other one with road access size 277.80 sq m.
There is a stream crossing between two lands.